Formulated with 3% Topical TXA, 1% Kojic Acid, 5% Niacinamide and 5% HEPES. These 4 ingredients each target a different step of discoloration formation in the skin, to fade and prevent stubborn pigments from reoccurring. Discoloration Defense is a gentle, layerable, daily-use dark spot brightening serum. 60% average improvement in the appearance of stubborn brown patches, reduces acne spots by an average of 80% in 12 weeks. Ideal at-home complement to professional skin discoloration treatments, such as chemical peels or laser treatments. Apply 3-5 drops of this skin brightening serum to the face. Apply twice daily for best results. See ProtocolProtocol: A 12-week, single-center, clinical study was conducted on 50 females, ages 25 to 60, Fitzpatrick I-IV, with mild to moderate facial skin discoloration, including stubborn dark spots, post-acne marks, and uneven skin tone. Discoloration Defense was applied to the face twice a day in conjunction with a sunscreen. Efficacy and tolerability evaluations were conducted at baseline and at weeks 2, 4, 8, and 12. Step 1: Inflammation Triggers - Sun/ UV exposure, acne, hormonal changes such as pregnancy are common triggers. They trigger inflammatory mediators, which activates the enzyme Tyrosinase in the skin’s lowest epidermal layers. Step 2: Melanin Production - Tyrosinase enables Melanocytes in the skin to produce more Melanin. When the skin is inflammed, this produces excessive Melanin. Step 3: Melanin Transfer - Excess melanin gets transferred through the layers of the skin over a few weeks. Step 4: Emergence - Excess melanin emerges as dark spots or stubborn brown patches on the skin surface. These pigment deposits tend to be more difficult to be removed compared to other skin cells on the surface. 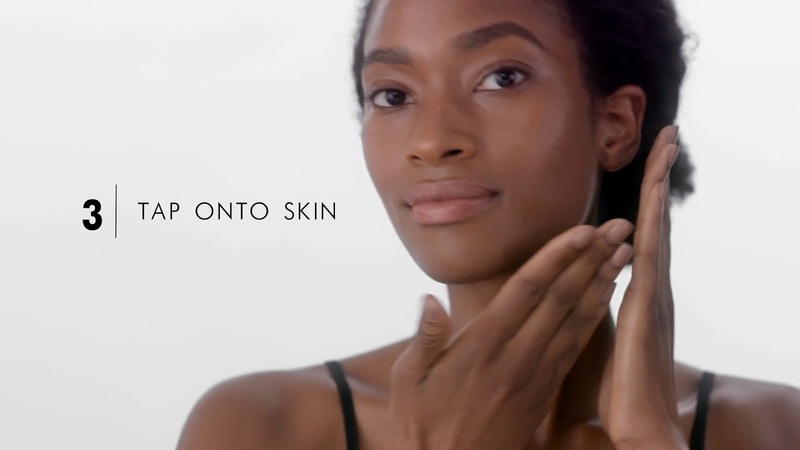 To address the 4 steps of pigmentation above, SkinCeuticals presents Discoloration Defense. This latest-generation dark spot corrector, using a combination of potent and proven anti-discoloration ingredients to address key types of skin discoloration. Each of the 4 active ingredients in this potent formulation targets a different step of the pigmentation cycle, thus correcting and preventing dark spots from its origin. 3% Topical TXA: Deactivates Inflammatory Mediators Originally used as oral medication/injectables for Melasma patients, This synthetically-derived ingredient minimizes the reoccurrence of skin discoloration and stubborn brown patches by controlling the release of inflammatory mediators, which is the 1st step of dark spots, stubborn brown patches formation. 1% Kojic Acid: Tyrosinase Inhibitor Suppressing the production of Melanin, Kojic Acid is naturally produced by certain fungi. 5% Niacinamide: Melanin Transfer Blocker Once melanin is produced in the deeper skin layers, it will slowly transfer to the top layers of the skin. Niacinamide helps to block the melanin transfer. Also known as vitamin B3, this water-soluble vitamin is found naturally in yeast, meat, fish, milk, eggs, green vegetables, beans, and cereal grains. It is an established as an effective corrector for skin discoloration. 5% HEPES: Enhances Skin Desquamation, Cell Turnover, Provide exfoliating benefits by enhancing the natural desquamation process, promote cellular turnover. Activates natural enzymes in the skin to help break the bonds that bind dead skin cells to the surface for even exfoliation. I have just started using it 2 weeks back. No bad reaction. Dries very fast.Started to reduce some of my dark patches of the face, fading gradually.<br/>Will use the entire bottle and then will have a better idea if it works.<br/>On the whole I have been using Skin Ceuticals products for over a year and like most of them, they work. So I am thinking this should too. Hope this will be the best anti-dark spot serum that my skin will need. I have been using this product for about 3 weeks and my skin does appear to be more even. I use in the morning and evening after CE ferulic. Very hopeful and excited to see how this can help reduce dark spots on my face after the 12 weeks. I have been using this for 3 weeks now, in the morning after applying C E Ferulic and every night. I have laser to remove melasma on my cheeks and so far this product has seemed to help keep remove brown spots on my face. I've noticed the most improvement in reducing post-acne marks and also evening out my uneven skin tone. I have oily skin and a lot of serums make my skin look shiny but this one soaks right into my skin, which I love. Overall, I like this product and will continue to use it. Best brightening serum that I have used so far. I tried a sample of this on the advice of my derm, after I had my most recent laser to remove pigmentation. She said this would help maintain the results. I've been using the C E Ferulic for a few years along with the Physical Fusion SPF. Seems to be a good solution to remove post-inflammatory hyperpigmentation and reduce acne scars. Tried a sample. After only two weeks I am noticing dark spots fading. Pleasantly surprised!!! Figured it would take at least 4-6 weeks of use. Using four drops twice daily and will continue to do so!!! Very impressed so far! Hopeful this can get rid of pigmentation on my face and improve my uneven skin tone!